We are proud to introduce our distinguished Jury members. Jane Carty, Richard Bonynge AC CBE, Orla Boylan, Peter Carwell, John Gilhooly, Olga Kapanina, Andreas Massow and Evamaria Wieser. Jane Carty was born in Dublin, graduating with a B. Mus. Degree and a B.A. degree in Music and Modern Languages, from University College, Dublin, as well as the Diploma in Music Teaching, receiving an Exhibition Award as a result of her B. Mus. Degree examination, having studied in Paris, Strasbourg and Perugia, Italy. She started her career as a teacher of Piano, Theory and Composition at what is now the DIT Conservatory of Music and Drama. A singer, pianist and cellist herself, she presented and produced documentary music programmes for Radio from the major European Music Festivals during her subsequent career as Executive Producer for Radió Telefiś Éireann, Ireland’s national broadcasting organisation. She organised and directed national competitions for choirs, singers, instrumentalists and composers, and was the Founder/Director of the RTÉ Musician of the Future Festival. Her work as a singing, choral and instrumental Jury Member has taken her all over Europe, including, for many years, the Llangollen International Choral Eisteddfod in Wales, as well as further afield to Hong Kong and the West Indies. For many years she has been a Member of the Media Jury of the International Hans Gabor Belvedere Singing Competition, Vienna, as well as organising, and being Jury Chairman at, the Dublin Qualifying Round of the Competition every year. As well as being a Patron, she is also Artistic Director and Chairman of the Jury of the Irish Freemasons Young Musician of the Year Competition, for 3rd level instrumental students at our Colleges of Music who are studying for Degrees in Music Performance. She has been a Member of the Board of Governors of the RIAM since the year 2000 and the regular Chairman of the Jury of the Veronica Dunne International Singing Competition since it’s inception. Jane has been the Chairman of the Jury for the Irish Qualifying Round of the Dublin International Piano Competition since the Competition began, a former Director of the National Concert Hall of Ireland and the National Youth Orchestra of Ireland and a is former member of the Repertory Committee of the Wexford Festival. She is also a recipient of a Jacobs Radio Award for her work in furthering and promoting the careers of Irish musicians, both in Ireland and abroad. In June 2010 Jane was awarded the highest honour the Royal Irish Academy of Music can give, The Fellowship Honoris Causa (FRIAM). 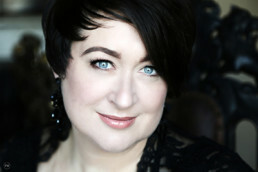 Irish soprano Orla Boylan’s appearances include Teatro alla Scala Milan, Salzburg Opera Festival, Sydney Opera House, Royal Danish Opera, Maggio Musicale Fiorentino, Glyndebourne Festival Opera, English National Opera, Opera North, New York City Opera, Deutsche and Komische Oper Berlin, Hamburg Staatsoper, Oper Köln, Opera de Lyon, Opera Nationale du Rhin, Western Australian Opera, New Zealand Opera and Opera Ireland. Peter H. Carwell is the Executive Director of the Richard Tucker Music Foundation, a position he has held for the past 18 years. 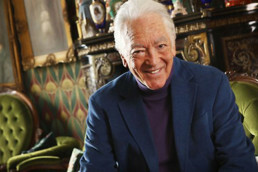 In addition to directing the Foundation’s fundraising, his responsibilities include the managing the Foundation’s annual Auditions and Awards Program, which gives awards to promising young American opera singers at various levels of career development, as well as the artistic planning of the Foundation’s annual Richard Tucker Gala, held each Fall at Carnegie Hall, and numerous community concerts and master classes. Mr. Carwell has worked at the New York City Opera, the Metropolitan Opera, the Metropolitan Museum of Art, and the Jewish Museum, as well as a consultant for Lincoln Center’s Mostly Mozart Festival, and has been a jurist of several vocal competitions. Irish-born John Gilhooly became Artistic and Executive Director of Wigmore Hall aged 32 in 2005. The youngest leader of any of the world’s great concert halls, he programmes the largest chamber music and song series in the world, to public and critical acclaim. His tenure as Artistic Director has seen record box office returns and its highest ever membership levels, as well as a doubling of overall revenue and annual fundraising. John also established the Hall’s highly regarded CD label ‘Wigmore Hall Live’, and introduced an ambitious new music and commissioning scheme, expanding Wigmore Hall’s programming in both traditional and new directions. Ms. Kapanina was awarded a master’s degree in piano from the Estonian National Conservatory of Music in 1980 (Tallinn, Estonia) and for several years worked with singers as pianist – accompanist and coach in Estonia (Tallinn State conservatory and Theater Vanemuine). In 1986 Ms. Kapanina got her second master degree in Performing Arts from the St Petersburg Conservatory (St. Petersburg, Russia). From January 2009 until September 2016 Ms. Kapanina served as a Director of Opera in the Mikhailovsky Opera and Ballet Theater in St. Petersburg, Russia. As one of the leading professionals in voices, for several years Ms. Kapanina was a Jury member for several international vocal competitions (Marcello Giordani Vocal competition, Le Grand Prize de L’Opera in Bucharest, International Vocal Competition in Tirana, Albania, The Belvedere International Vocal Competition 2017, 2018, 2019,The Portofino International vocal competition 2018, Italy). She constantly gives master classes as an opera specialist in Russia and abroad. In 1997 she was invited to work in the International Young Artist Program at the Vocal Institute in Tel-Aviv, Israel, where Ms. Kapanina directed Iolanthe by Peter Tchaikovsky. In 1998 Ms. Kapanina began working in the United States as a freelance director. She directed Cosi fan tutte (Regina Opera, New York and Maine), Le nozze di Figaro (Maine), La Traviata (Abilene Opera, Texas), and Die Fledermaus (Revival in Redwood, Ca), Eugene Onegin for the Todi Music Festival in Portsmouth, Virginia and other. 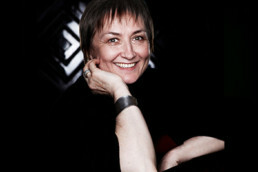 In 2006 she was invited to direct Die Zauberflötefor the International Sobinov Opera Festival in Saratov. From 1999 to 2002 Ms. Kapanina worked as a director for Young Artist Program of Opera North, and in 2003/2004 she was director of the Vocal Department of the Boston Conservatory. From 1987 to 1997 Ms Kapanina worked as a stage director with the famous Vanemuine Opera and Ballet Theatre in Estonia, The Donetsk State Opera and Ballet Theatre in Ukraine, The Rimsky-Korsakov Opera and Ballet Theatre in St Petersburg, where she directed Don Pasquale by Gaetano Donizetti, Die Fledermausby Johann Strauss, Tosca by Giacomo Puccini, Iolanthe by Peter Tchaikovsky and Faust by Charles Gounod, among others. For several years Ms. Kapanina served as an Associate Professor (opera class) at the St Petersburg Conservatory and St Petersburg’s Gertzen University. 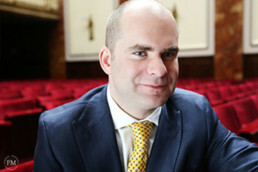 German born Andreas Massow has been manager of Artistic administration at the Bayerische Staatsoper, Munich, since 2014. Growing up in Hamburg, he studied Musicology, economics and sociology at Universität Hamburg, which led him to internships at Hamburg Staatsoper & Komische Oper Berlin, both in Administration and Artistic production. 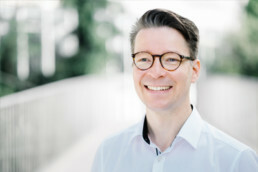 As a much sought after casting director, Mr. Massow began his professional career in 2003 at the renowned Oper Frankfurt, moving then in 2012 to the Opernhaus Zürich, which paved the way for his current position at the Bayerische Staatsoper Munich. A champion of young voices Mr. Massow also casts for the famous opera studio at the Bayerische Staatsoper, guiding the formative years of these young singers careers. 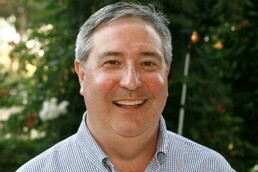 Mr. Massow very much looks forward to being a jury member of the 9th Veronica Dunne International singing competition. Evamaria Wieser was born in Vienna and grew up in a musical family, beginning piano lessons at the age of four. After completing her secondary education at a special high school for music, Ms. Wieser studied piano at the Vienna Conservatory. She subsequently enrolled in the Italian interpreting program at the University of Vienna and earned a Master of Arts degree in 1976. 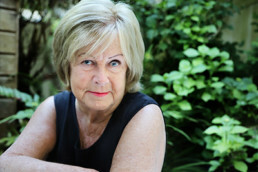 From 1976 to 1980, Ms. Wieser worked at the Starka/Ioan Holender Theater Agency in Vienna. In 1980 she accepted a position with the artistic administration office of the Bavarian State Opera in Munich. Beginning in 1989, Ms. Wieser worked in the field of artist management at the Holender/ÖIK Theater Agency in Vienna, and from 1990 to 2001 she served as director of the artistic administration office of the Salzburg Festival under artistic director Gerard Mortier. In 2001 Ms. Wieser was named director of the artistic administration office of the newly founded Ruhr Triennale in the German state of North Rhine-Westphalia, again under the artistic direction of Gerard Mortier, and was also director of scheduling. 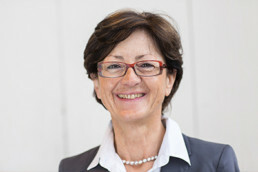 Since October of 2001, Evamaria Wieser has been head of opera production for the Salzburg Easter under the artistic direction of Claudio Abbado (2002) and Sir Simon Rattle (until 2012). Between 2002 and 2004, Ms. Wieser prepared the way for Gerard Mortier to assume the position of director of the Paris National Opera as of the 2004/2005 season. Since 2002 she has been the Consultant for the Osterfestspiele Salzburg. Evamaria Wieser serves as director of the Young Singers Project at the Salzburg Festival and also as Casting Consultant for Chicago’s Lyric Opera since May of 2008. Since 2011 she is Artistic Consultant of the Teatro dell´Opera as well.